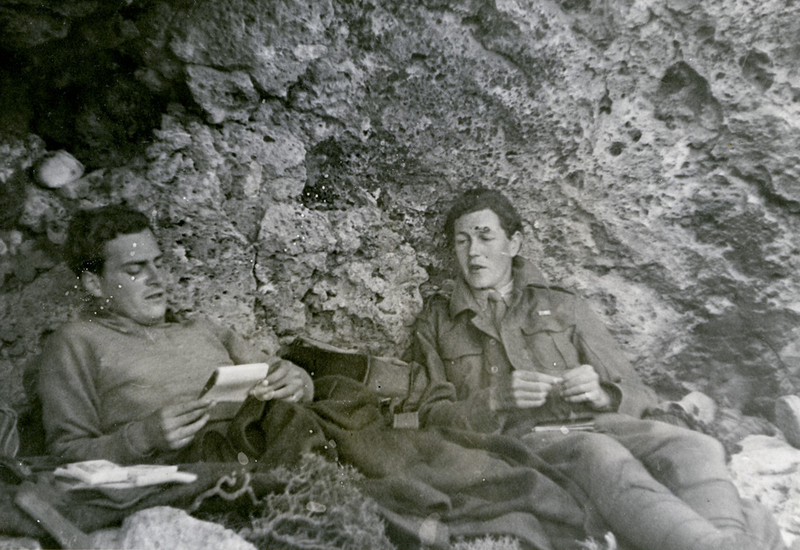 I am very grateful to John Stathatos who sent these pictures from his family’s Cretan archive. The first with Manoli is one that I don’t think we have seen before in this setting. I’m sending you a little present for the blog – scans of four original photographic prints of the Kreipe operation which I’ve dug out of the family archives. The prints are on glossy photographic paper, and must have been produced by the British army press and propaganda section in Cairo very shortly after Paddy’s return. They were given a narrow white border, and all four have very slightly different dimensions, ranging from 185×143 mm for the vertical one to 147×199 mm for the group photo. They are in remarkably good shape considering their age, showing no evident deterioration beyond a very slight yellowing. Note: certain of these images are kindly shown here by permission of John Stathatos. Please ask if you wish to reproduce. 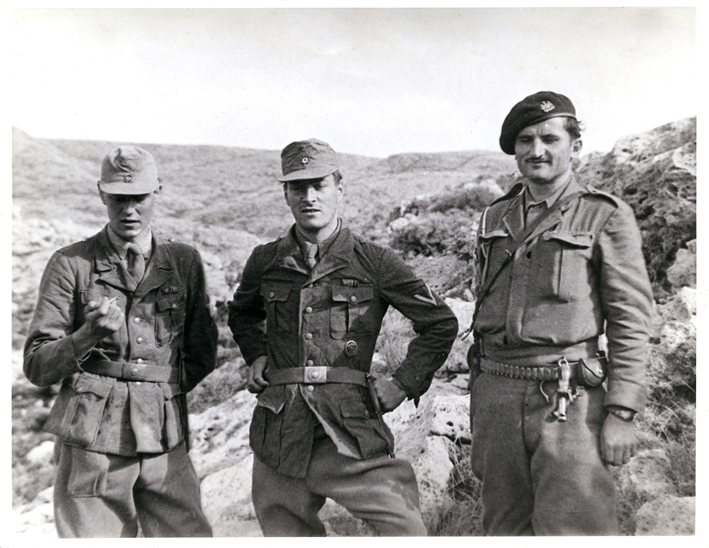 This entry was posted in Ill Met by Moonlight and tagged Crete, Greece, Ill Met by Moonlight, Major General Heinrich Kreipe, Patrick Leigh Fermor, William Stanley Moss on July 7, 2012 by proverbs6to10. I enjoy looking at these photos, which remind me of what a helluva fine-looking man PLF was. Tom, If you could email me with an address for John Stathatos I’d like to seek his consent to put some of these on IMBM, I’d be grateful. Great to see them. Have we a definitive answer to the question who took them? I’ve always thought John Houseman was a favourite for many. Tim – I will email him and see what he says.